PHILADELPHIA June 29 2015 – – Citizens Bank, NBC10/Telemundo62 and Philadelphia Media Network recognized UESF Vet Outreach 2015 Champion in Action® in the category of veterans support. UESF will receive $35,000 in unrestricted funding, media coverage, and extensive promotional and volunteer support for its outstanding work. 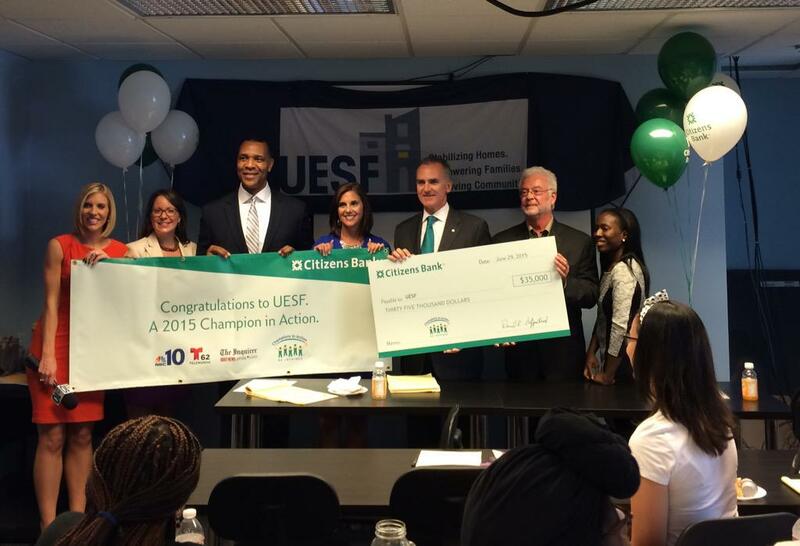 PHILADELPHIA June 29 2015 – – Citizens Bank, NBC10/Telemundo62 and Philadelphia Media Network, publisher of The Philadelphia Inquirer, Daily News and Philly.com, recognized UESF (Utility Emergency Services Fund) as a 2015 Champion in Action® in the category of veterans support. UESF will receive $35,000 in unrestricted funding, media coverage, and extensive promotional and volunteer support for its outstanding work. The award honors UESF for its work providing direct housing placement and supportive services for veterans who are homeless and those at-risk for becoming homeless. Among the more effective components of UESF’s Veterans program are the Veteran Engagement Partners (VEPs), a street outreach team that identifies and engages homeless veterans throughout Philadelphia. The VEPs are comprised of veterans and former clients who have experienced housing challenges and can relate to the needs of other veterans in similar circumstances. Champions in Action is part of Citizens Helping Citizens Strengthen Communities, the bank’s program designed to enhance quality of life and economic vitality in local communities. It provides support for small nonprofit organizations to recognize their contributions to communities throughout Pennsylvania. To date, the program has awarded 39 nonprofits more than one million dollars in grants and promotional support in Philadelphia. Exposure on Citizens Bank, NBC10, Inquirer, Daily News and Philly.com websites. Those who serve our country often return to challenges that can threaten housing stability. UESF works with Veterans and Veteran families who are experiencing homelessness or are at imminent risk of losing their homes. Our range of services helps them acquire the resources to become stable. Using a housing-first case management model, UESF provides services including housing acquisition and landlord negotiation, VA benefit assistance, mainstream benefits, legal assistance referrals, self-sufficiency education, and temporary financial assistance when needed. Citizens Financial Group, Inc. is one of the nation’s oldest and largest financial institutions, with $136.5 billion in assets as of March 31, 2015. Headquartered in Providence, Rhode Island, Citizens offers a broad range of retail and commercial banking products and services to individuals, small businesses, middle-market companies, large corporations and institutions. In Consumer Banking, Citizens helps its retail customers “bank better” with mobile and online banking, a 24/7 customer contact center and the convenience of approximately 3,200 ATMs and approximately 1,200 Citizens Bank branches in 11 states in the New England, Mid-Atlantic and Midwest regions. Citizens also provides mortgage lending, auto lending, student lending and commercial banking services in select markets nationwide. In Commercial Banking, Citizens offers corporate, institutional and not-for-profit clients a full range of wholesale banking products and services including lending and deposits, capital markets, treasury services, foreign exchange and interest hedging, leasing and asset finance, specialty finance and trade finance. Citizens operates through its subsidiaries Citizens Bank, N.A., and Citizens Bank of Pennsylvania. Additional information about Citizens and its full line of products and services can be found at www.citizensbank.com. Owned by NBCUniversal, NBC10 Philadelphia has been delivering local news, information and weather for more than 60 years, serving nearly six million viewers throughout Greater Philadelphia, the Lehigh Valley, southern New Jersey and Delaware. Viewers turn to NBC10 for the most up-to-date breaking news and weather on a variety of platforms, including online at nbc10.com and via mobile and social platforms. COZI TV, the station’s multicast network, offers a full schedule of America’s most beloved and iconic television series and hit movies as well as local programming. COZI TV can be seen on Comcast channel 248, Verizon channel 460 and over-the-air on digital 10.2. Telemundo62 / WWSI is Telemundo’s local television station, serving Spanish-speaking viewers in the greater Philadelphia area, including 18 counties in Pennsylvania, New Jersey and Delaware. Owned by NBCUniversal, Telemundo62 is co-located with sister station NBC10 Philadelphia / WCAU. In January 2014, Telemundo62 launched Noticiero Telemundo62, a locally produced, live Spanish-language newscast that airs weekdays at 5:30 PM, 6 PM and 11 PM. 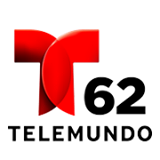 Noticiero Telemundo62 provides in-depth coverage of issues of importance to the Greater Delaware Valley region and delivers up-to-the-minute news, information, weather and sports. Viewers can also turn to Telemundo62 online at Telemundo62.com and via mobile and social media channels. With their multiple brand platforms and integrated print and digital products, The Philadelphia Inquirer, Philadelphia Daily News, Philadelphia Daily News Weekend and Philly.com comprise the region’s largest media network and the industry’s technological leader and innovator. The publications/website reach an average weekly audience of 1.7 million adults in the 8-county area – more than the combination of the four late evening television news shows or the combination of the top 5 most-listened-to local radio stations during morning drive-time programming.